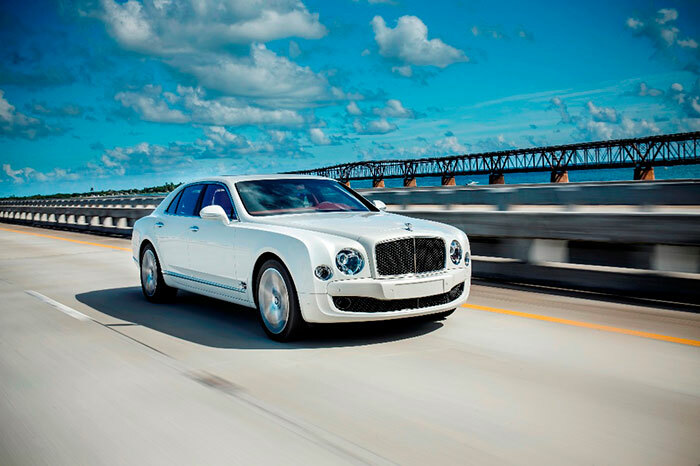 The Mulsanne Speed, Bentley’s new luxury sedan has won two regional awards in a row. Last month, it was named as the Best Large Luxury Sedan at the Middle East Car of the Year (MECOTY) Awards. It went on to win its second award in as many months when it was recently named as the Best Large Luxury Sedan at the inaugural Arab Wheels Awards. The Arab Wheels Awards, which were instituted this year to recognize the best models in inpidual categories in the automotive market, were awarded on the basis of rigorous screening by a panel of regional automotive experts like Ralph R Debbas, Chairman/CEO of W Motors S.A.L, Khaled Hammoud, Editor in Chief of Auto Info magazine, Nabil Moustafa, Managing Partner/Xclusive SARL for Automotive Events, and Issam Eid, Editor in Chief of Arab Wheels. The two consecutive regional awards point to the reputation that Mulsanne Speed has already established as the ultra-luxury sedan of choice for both motoring enthusiasts and customers. The Mulsanne Speed was launched in the Middle East this June and has is a car that is high on performance with 537 PS (530 bhp / 395 kW) and 1,100 Nm (811 lb.ft).The revamped powertrain comes with Bentley’s renowned 6¾-litre twin-turbo V8 engine which powers the car from 0 to 60 mph in 4.8 seconds (0 100 km/h in 4.9 seconds) and gives it a top speed of 190 mph (305 km/h). The car is not only a powerful performer but has also significantly improved by 13 per cent when it comes to fuel efficiency. The Mulsanne Speed uses the finest materials, and comes with the latest on-board technology, connectivity and intricate handcrafted touches to redefine the concept of luxury. Currently, the Mulsanne Speed is available at Bentley dealers across the Middle East, and while choosing their model, customers can choose from 24 different hide colours, in six different colour splits, and ten different veneers (seven as cost options).